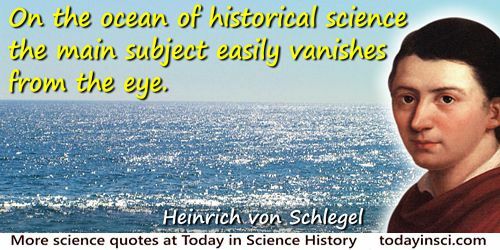 German philosopher and poet whose philosophical ideas inspired much of the German Romantic movement. 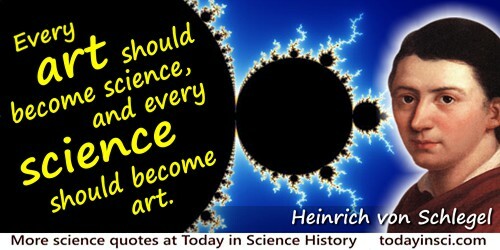 Every art should become science, and every science should become art. In Friedrich Schlegel, translated by Ernst Behler and Roman Struc, Dialogue on Poetry and Literary Aphorisms (1797, trans. 1968), 132. Aphorism 63 from Selected Aphorisms from the Lyceum (1797-1800). 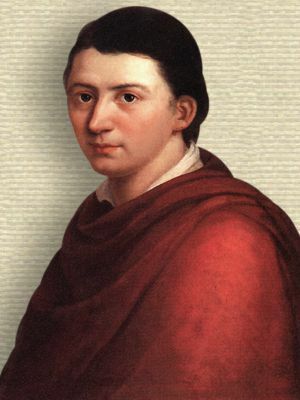 In Friedrich Schlegel, translated by Ernst Behler and Roman Struc, Dialogue on Poetry and Literary Aphorisms (trans. 1968), 137. Aphorism 61 from Selected Aphorisms from the Lyceum (1797-1800). In Friedrich Schlegel, translated by Ernst Behler and Roman Struc, Dialogue on Poetry and Literary Aphorisms (trans. 1968), 155. The true excellence and importance of those arts and sciences which exert and display themselves in writing, may be seen, in a more general point of view, in the great influence which they have exerted on the character and fate of nations, throughout the history of the world. In Lectures on the History of Literature, Ancient and Modern (1841), 10.